Audi TV has released a new video highlighting Audi Motorsport's 2010 DTM season. 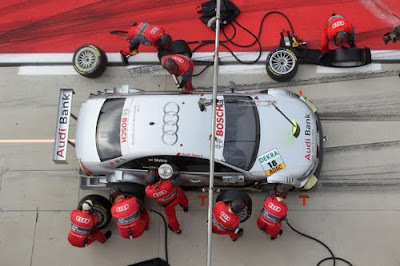 While not the best season for Audi, the year may be best seen as a testament of the unbreakable spirit of the teams. So if you've either missed a few races this year, or just want to reminisce, be sure to check out this 15 minute long featurette reviewing both the highs and the lows of Audi's 2010 DTM season.